The vines at Truchard Vineyards benefit not only from the cooling fog and moderate temperatures of Carneros, but are also influenced by the estate’s unique topography, consisting of rolling hills, steep ravines, and numerous valleys. In addition, they are positioned across a wide variety of soil types including clay, shale, sandstone, lava rock, and volcanic ash. These factors allow the Truchards to grow diverse grape varieties, each planted with its optimal growing conditions in mind and minimal intervention. Currently the vineyard grows 12 different grape varieties, making it one of the most diverse estate vineyards in Napa Valley. 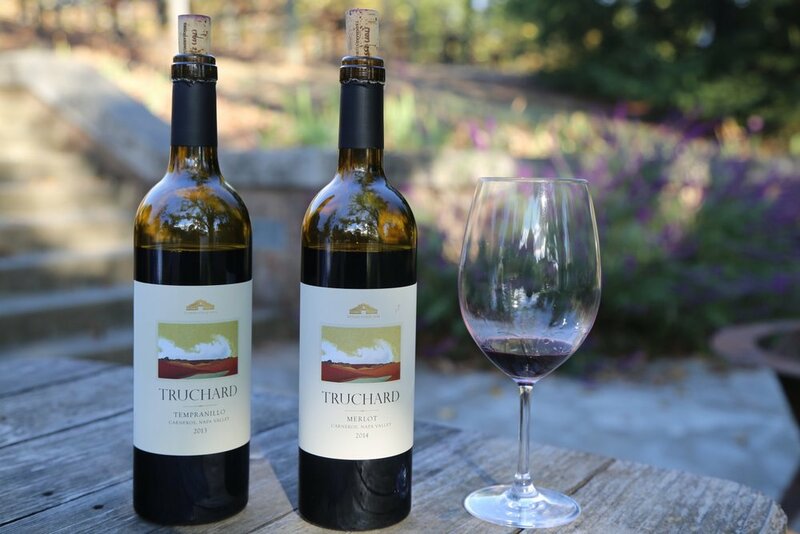 Because of the unique climate and soil that exists on the estate, the Truchard family is able to create wines that are truly "with a sense of place."